GREENVILLE, SC – Production of today’s streaming video, original TV movies and virtual reality experiences calls for studios equipped with technologically advanced cameras and interactive software. With an eye on this fast-changing industry and a desire to bring a positive cultural influence to Greenville, veteran movie producer Bert Hesse and entrepreneur Vivian A. Wong are transforming the 73-acre Global Trade Center into a state-of-the-art facility with purpose- built stages and high-performance structures for film, television, video game and virtual reality (VR) production. Seasoned and first-time filmmakers, video game creators and VR producers will benefit from the envisioned cinematic one-stop shop. “Ever since Bert told me about this project, I have been excited about the Global Media Park project and the prospect of bringing high-tech, creative jobs and industries to Greenville,” says Wong, who has built numerous successful businesses from restaurants to real estate developments. 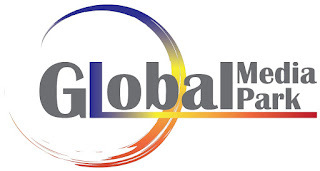 When Bert Hesse, who has to his credit films and a documentary including the award-winning Cold Storage, proposed the Global Media Park idea to her last fall, she agreed that the property could be a hub and destination for both local and national film makers. 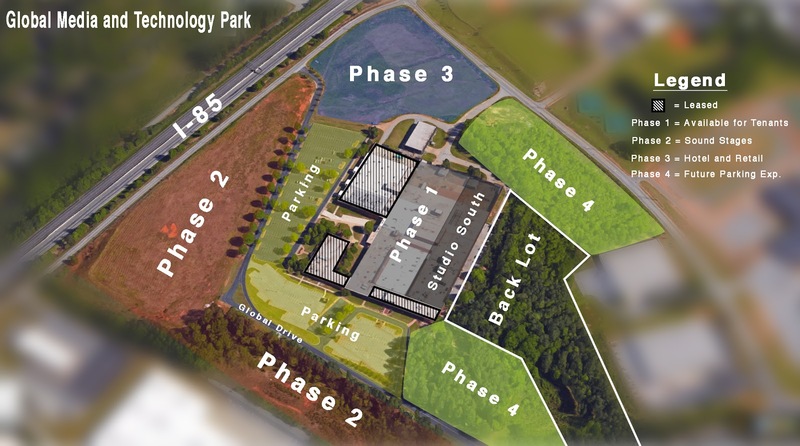 Plans for the first of four phases in the existing building, located at 28 Global Drive, include adding six tenants from the target industries. Tenants in the second phase, in a newly constructed building, will Global Studios and Pacific Ventures. One Stop Production Supply, a partnership with Lowe’s Home Improvement Centers that provides specialty set materials at a discount, will also be involved on the development. Hesse is currently searching for Phase 3 and 4 tenants. Later stages will include retail, a hotel, an entertainment themed restaurant and additional parking. Hesse and Wong are confident Greenville can play a significant role in the film industry that is already expanding rapidly into VR, games and television production. These industry segments are all part of the “Creative Class” said Hesse, and will capitalize on fast growth areas of film and movie production. Studio South manages entertainment assets, both sound studios and buildings and content. It coordinates the various aspects of the entertainment industry or, as Hesse puts it, “everything you need to create content in one place.” Studio South’s flagship studio will be in Greenville with plans to also re-purpose and build facilities in Austin and Park City.